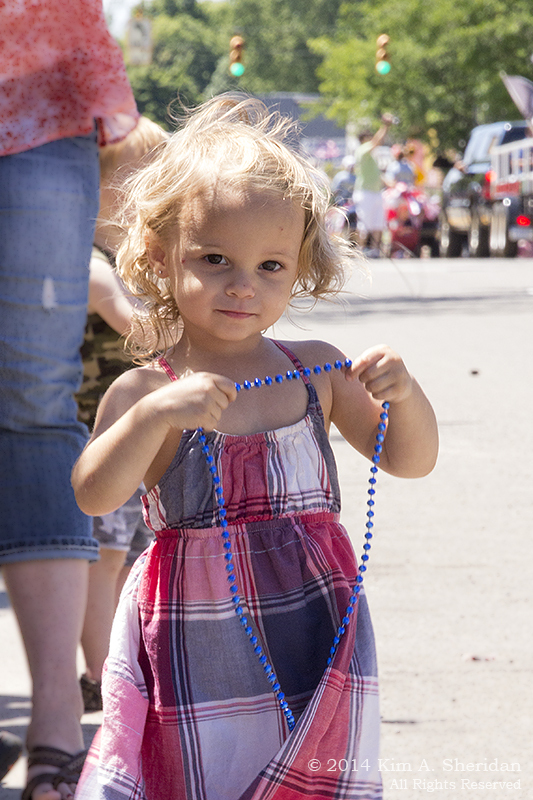 Nothing says the Fourth of July more than a small town parade. 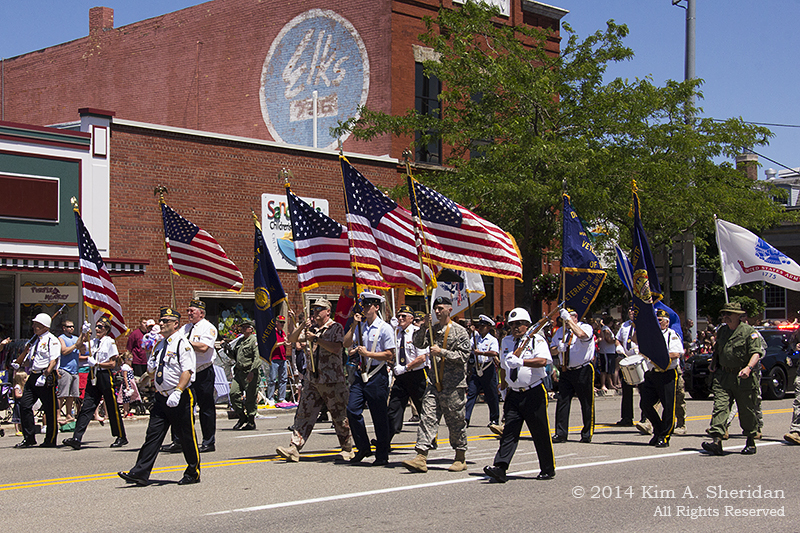 And nobody does it better than the small Western Michigan town of Ludington. 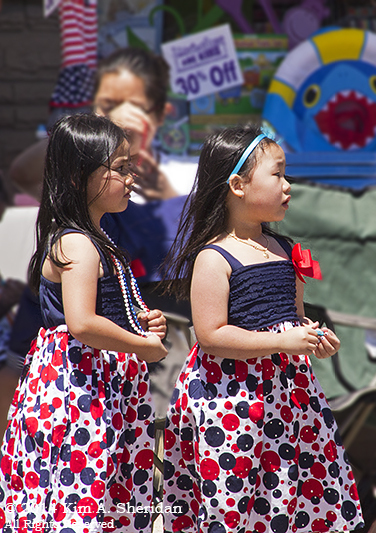 Everybody turns out to celebrate the country’s birthday. 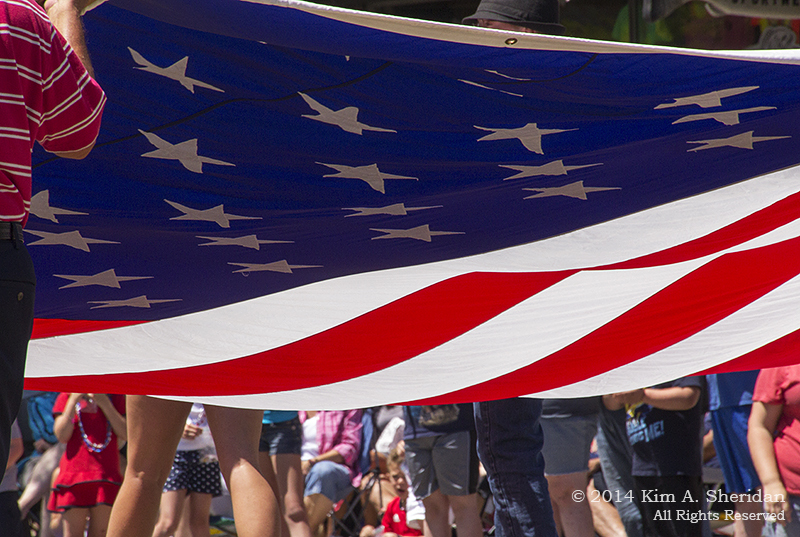 One parade participant estimated the crowd at 30,000, quite a feat for a town of 8,000. People start lining up chairs at dawn. When the show gets under way at 2 in the afternoon, spectators are packed three and four deep on the sidewalks for the entire one mile route. 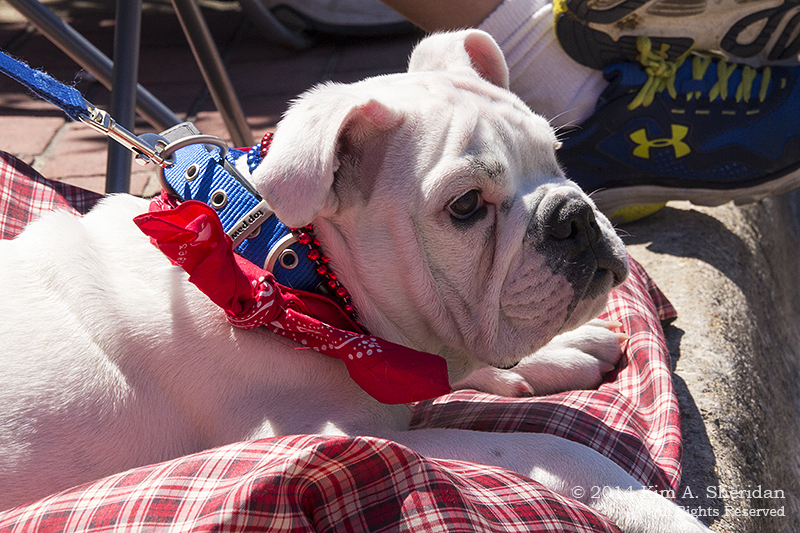 Max’s owners cheerfully waved me to an adjacent open spot on the curb when they saw my camera. Front row seat! Everybody’s genuinely friendly in Michigan. 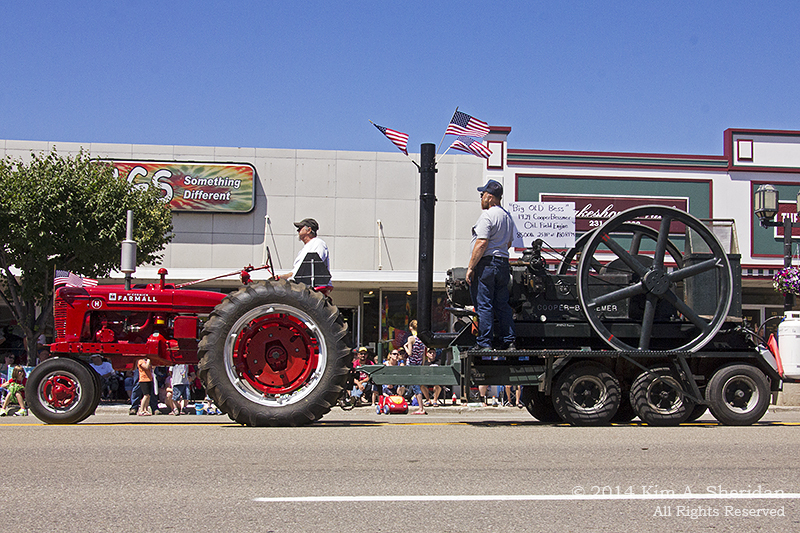 The parade started with a bang, courtesy of the Civil War re-enactors and their cannon. 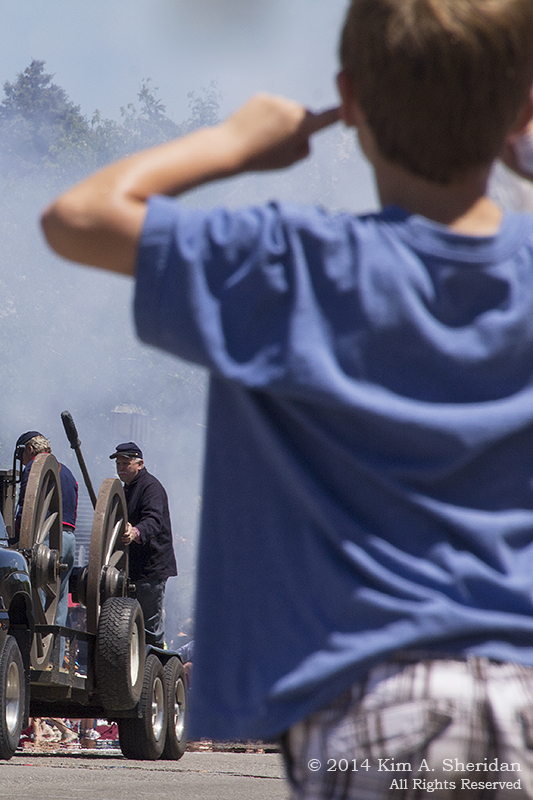 Youngsters know to be prepared for the concussion when the cannon goes BOOM! 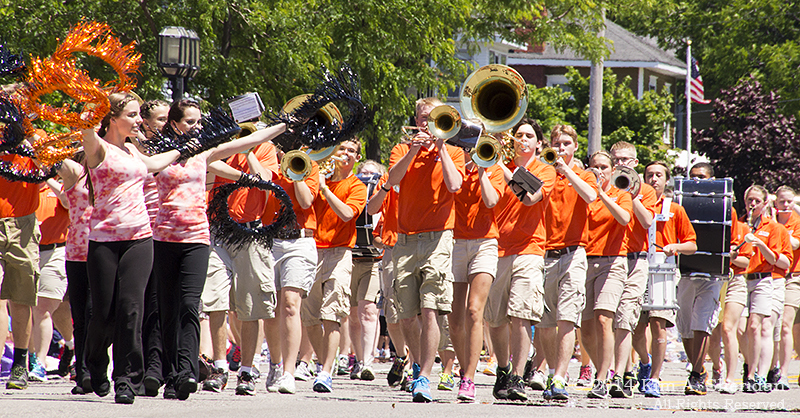 Also making noise was the Ludington High School Band. 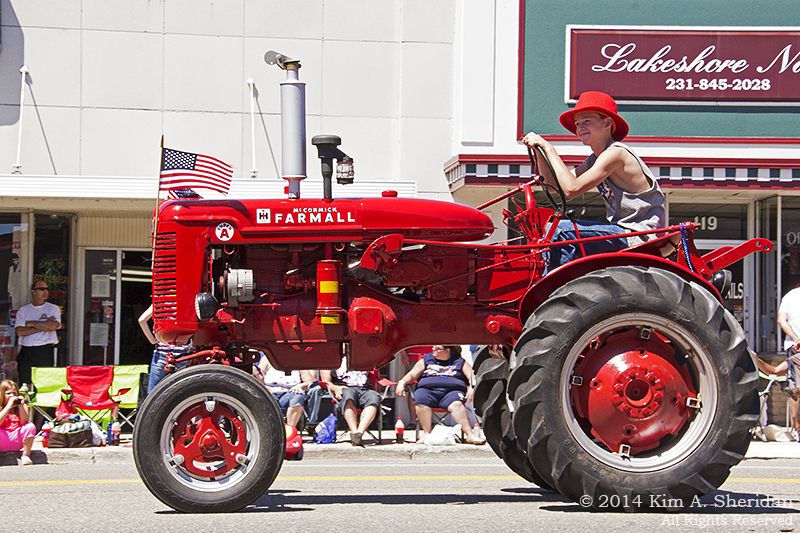 The Harvest Festival Queen, from neighboring Scottville, waves to the crowd. 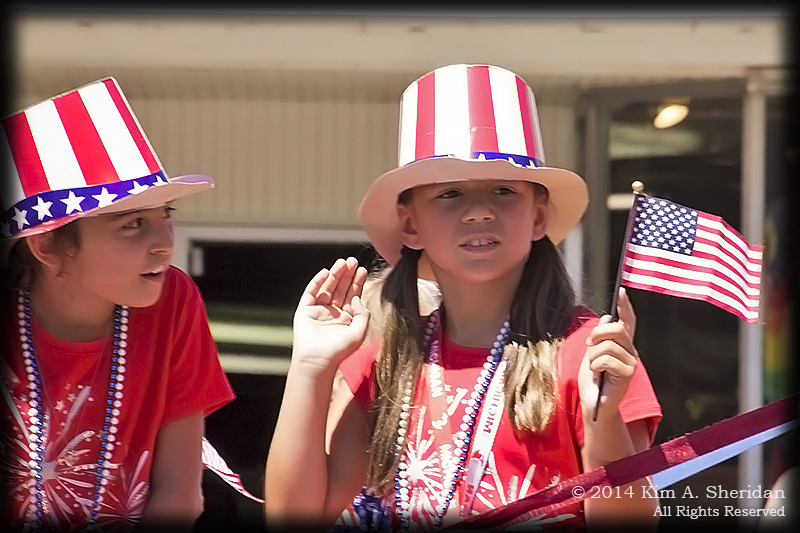 Not every beauty was participating in the parade. A few were watching it, and hoping for candy. And in farm country, tractors. Also marching in the parade were gymnastics and dance groups, the Rotary Club’s Briefcase Brigade, Smokey Bear, a young fife and drum unit, and a string band that had me wondering at first how the Mummers got here from Philadelphia. The 4-H Club and Mason County Sherriff’s Office each brought their equestrian units, with the obligatory clean-up crews, who got big cheers from the crowd. 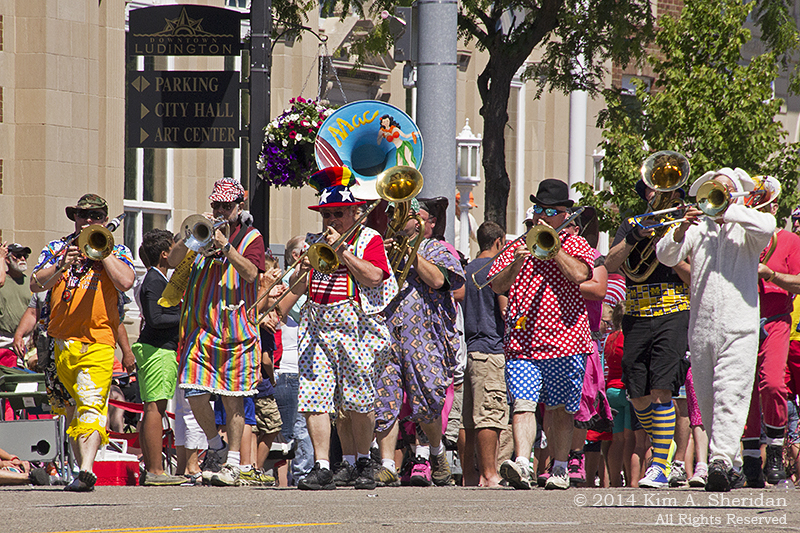 The World Famous Scottville Clown Band! 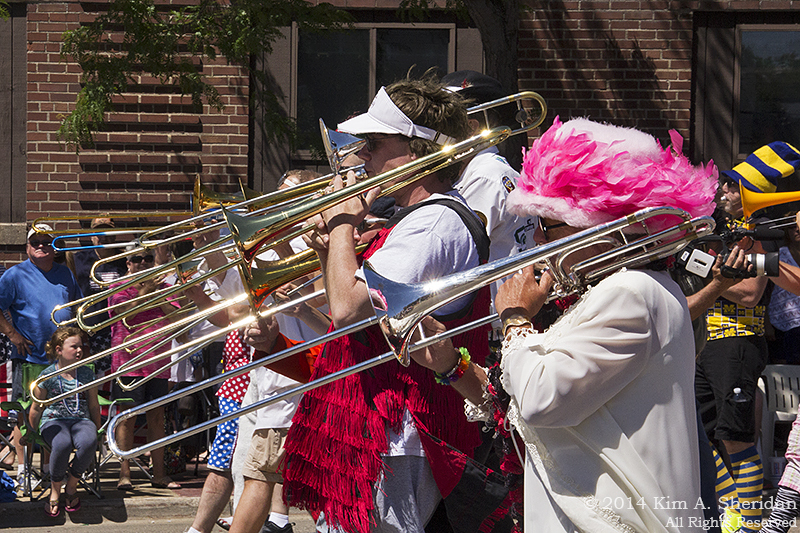 Everyone in Michigan knows the Scottville Clown Band. They’ve been around since 1903, after all. For those who aren’t familiar with them, I have no idea how to describe them and do them justice. Philadelphians might look at it this way: Take a really good brass band, throw them in a vat with the wenches and clowns of a Mummers Comic Club, stir it up, and what you’ve got is the Scottville Clown Band. Rowdy, bawdy, and hilarious, these guys are also very talented musicians. They come from all over to perform many times over the course of a year. 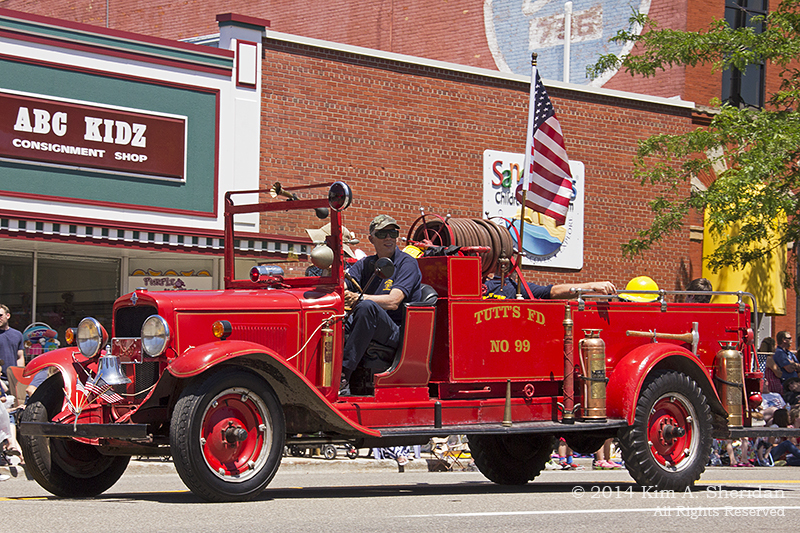 They also sponsor music and performing arts scholarships and fund a band shell in Scottville. Mostly they just make people happy. 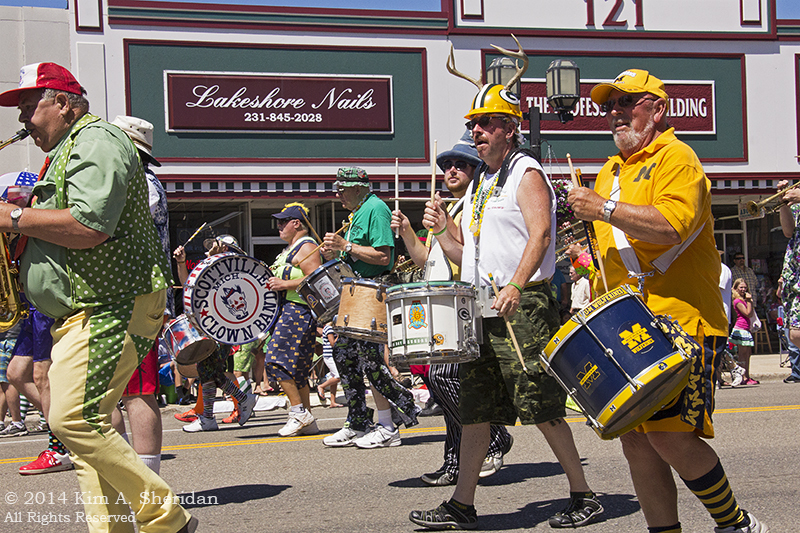 Like drum lines everywhere, Scottville’s drummers are mild-mannered and well-disciplined. 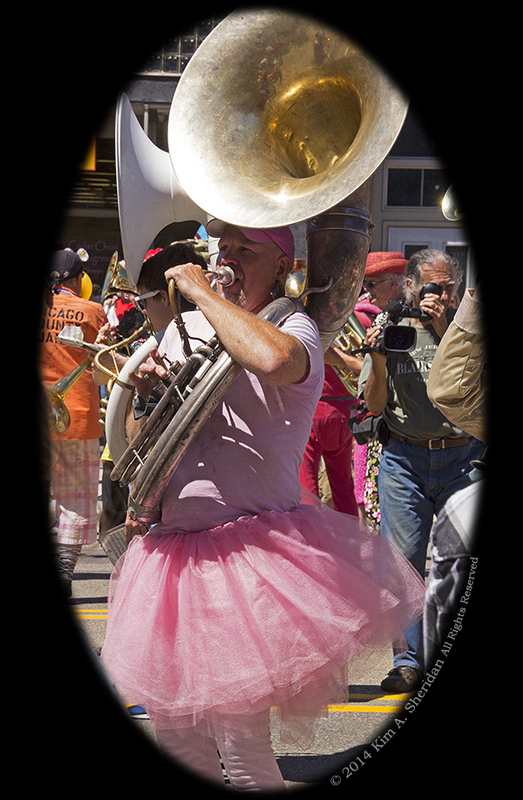 Of course there has to be a tuba-player in a tutu. 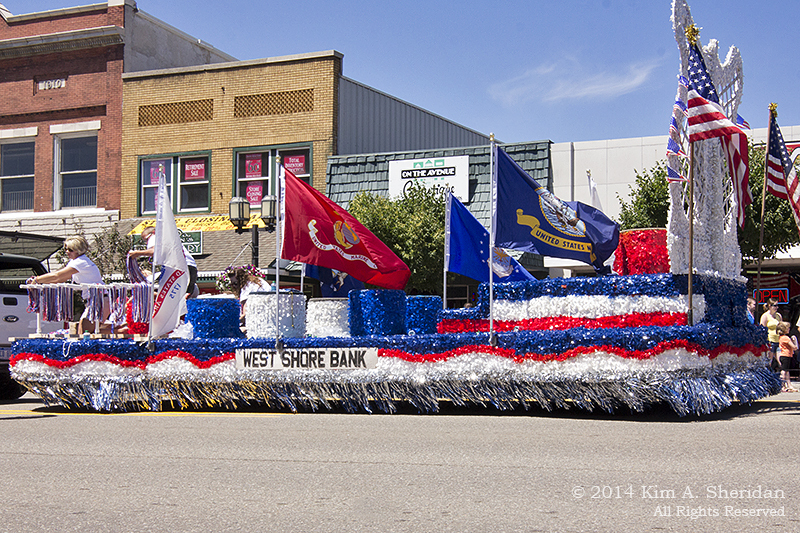 Time to wave good-bye to this year’s Fourth of July parade. Stroll down to the beach, maybe enjoy an adult beverage or two, and rest up. The party continues with fireworks tonight! 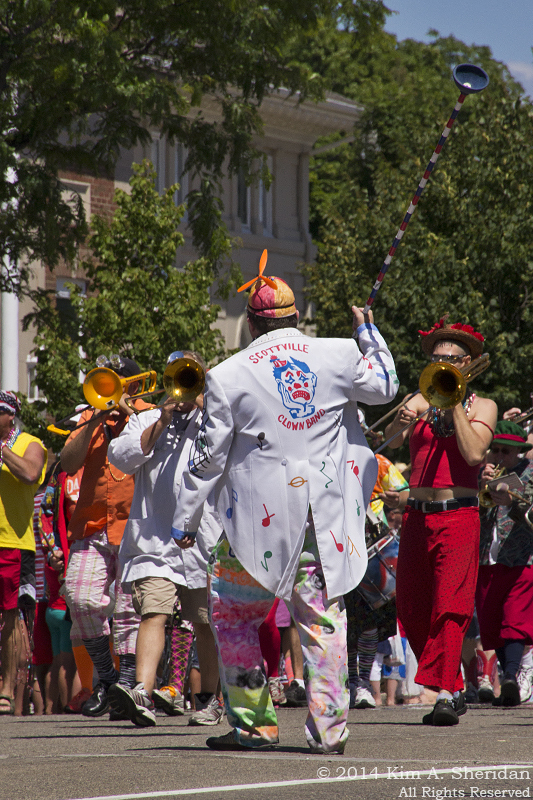 This entry was posted in Celebration, Diversions, Michigan and tagged Celebration, Ludington, Michigan, Scottville Clown Band by Kim. Bookmark the permalink. Nothing like a cannon to start and a clown band to finish. Glad to see they still have not changed in all these years!